To connect simplicity in design with comfort and respecting nature is the aim of We do wood. The Dining Chair no. 1 is a chair with attitude. The Dining Chair no. 1 from We do wood has an exceptionally design weightlessness, which also offers unexpectedly high comfort. 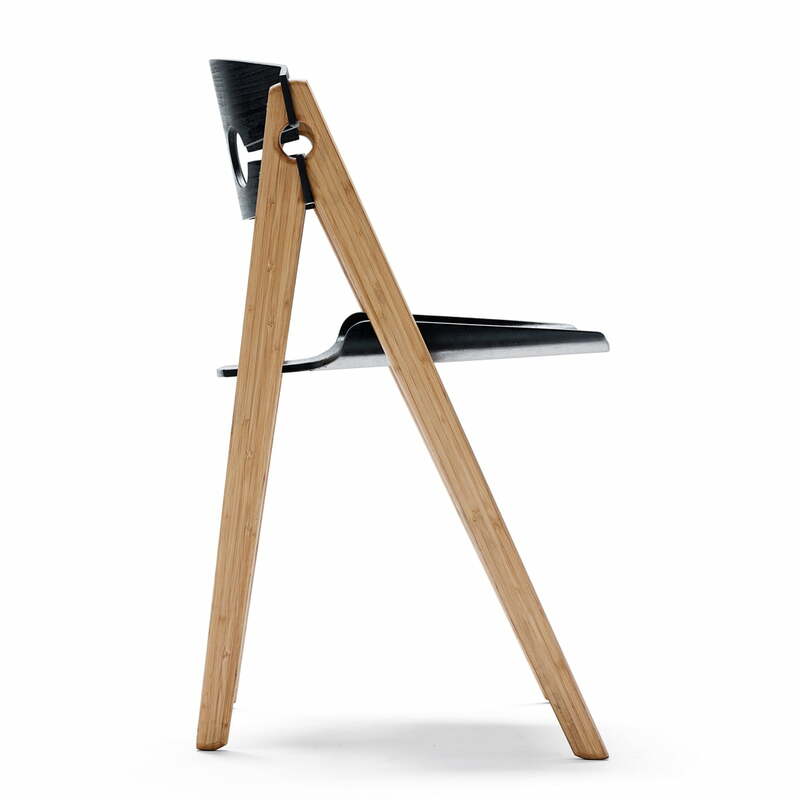 The seat has been inspired by ancient metal brooms, whose balanced shapes represented strength and practicability. The backrest of the Dining Chair no. 1 has two gaps like keyholes, which ensure the three-dimensional appeal and the weightlessness. 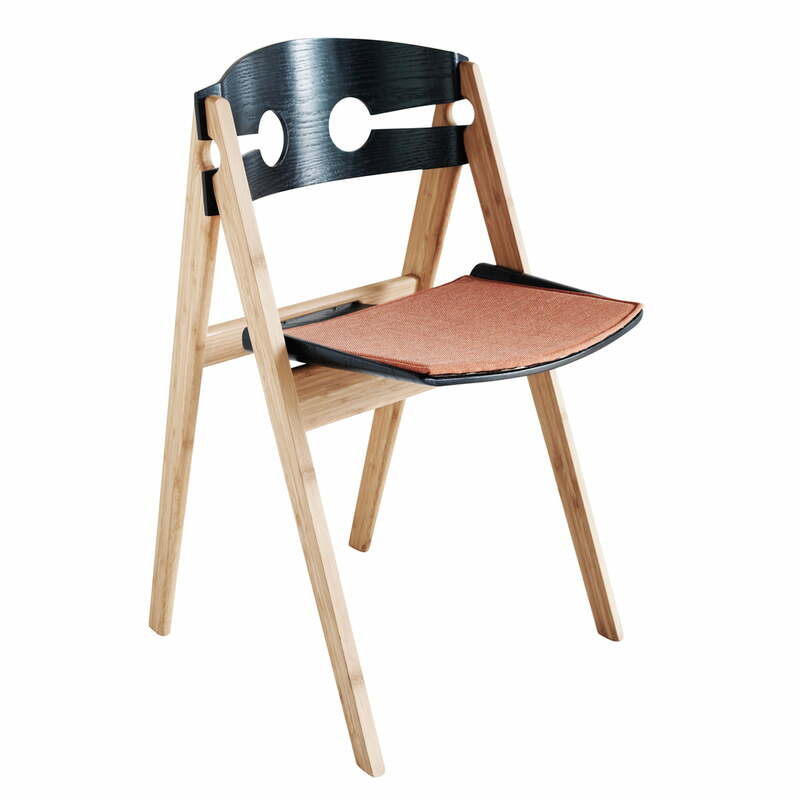 We do wood produces the Dining Chair out of FSC-certified bamboo wood. Lateral frontal view of the single image of the Dining Chair no. 1 in black. The Dining chair was developed by Sebastian Jørgensen for We do wood and is manufactured of certified bamboo wood. The dimensions are 76 x 45 cm x 49 cm (H x D x L). Lateral single image of the Dining Chair no. 1 in black. 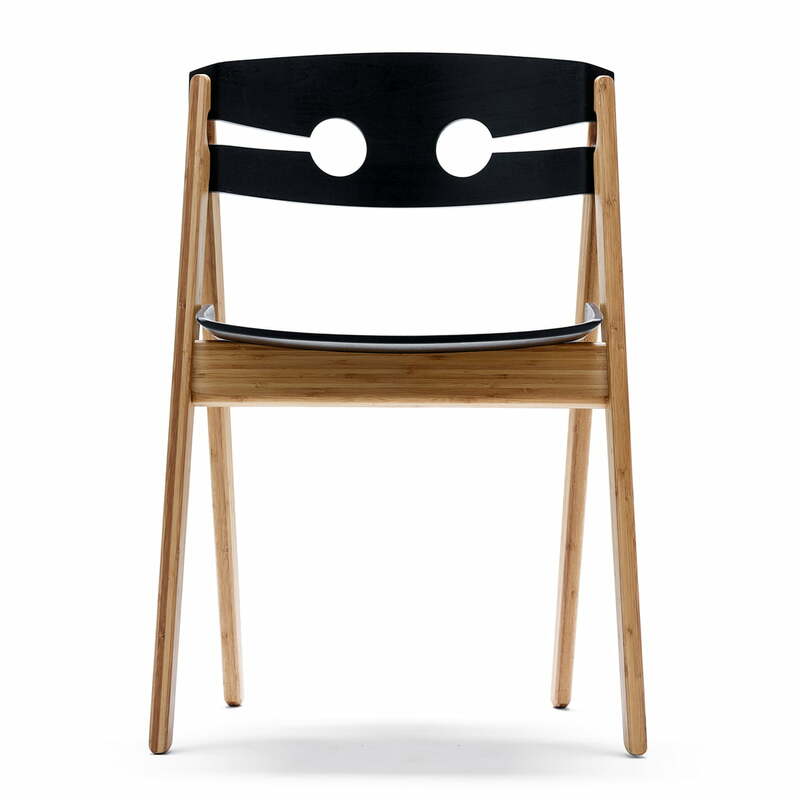 The Dining chair was developed by Sebastian Jørgensen for We do wood and is manufactured of certified bamboo wood. The dimensions are 76 x 45 cm x 49 cm (H x D x L). Frontal view of the Dining Chair no. 1 in black. 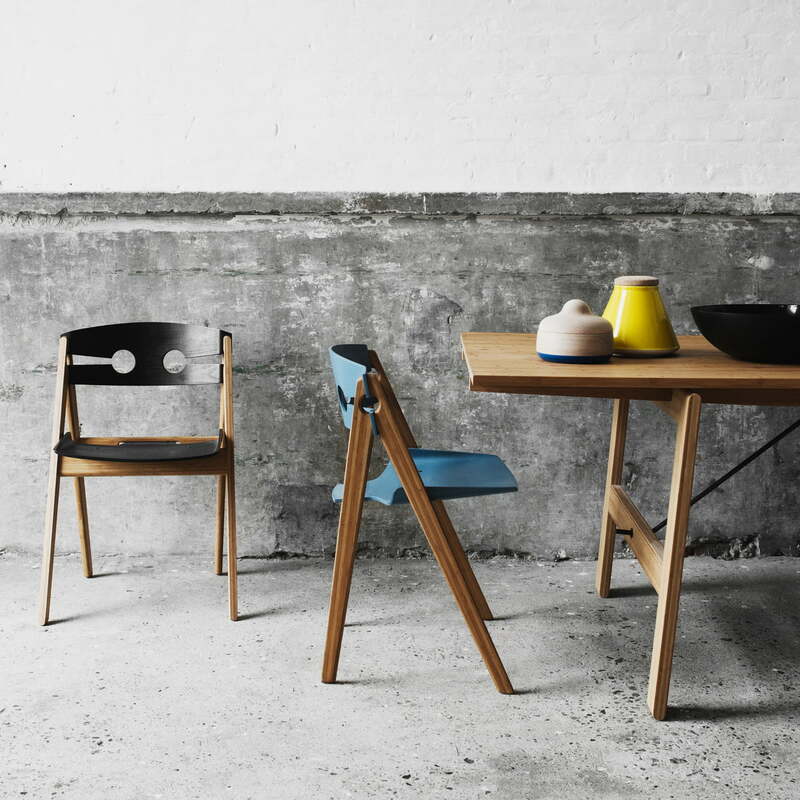 The Dining chair was developed by Sebastian Jørgensen for We do wood and is made of certified bamboo wood. The dimensions are 76 x 45 cm x 49 cm (H x D x L). Frontal side view of the Dining Chair no. 1 in black with coralline seating cushion. 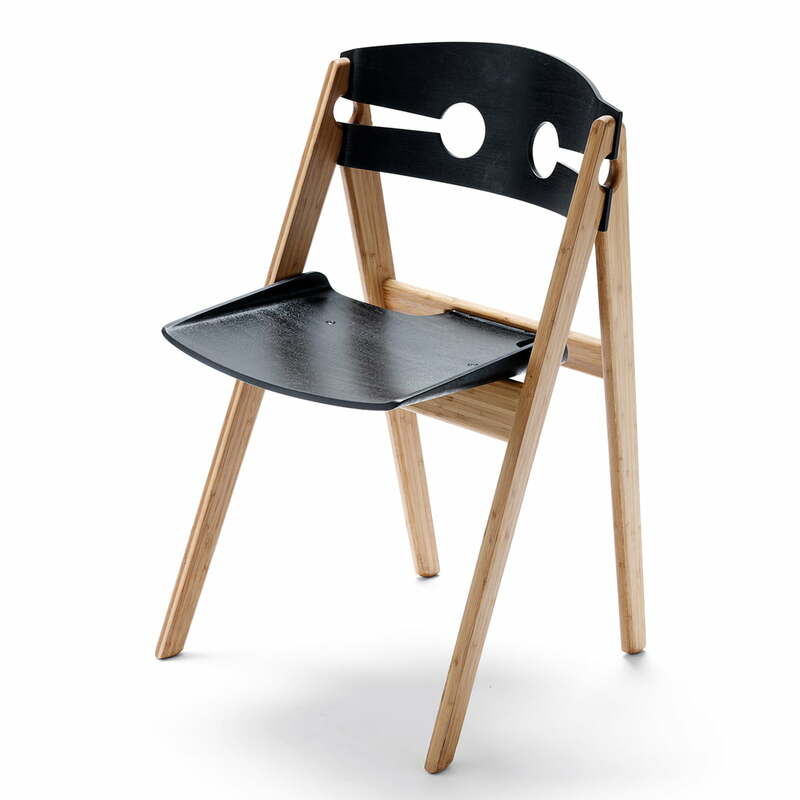 The Dining chair was developed by Sebastian Jørgensen for We do wood and is manufactured of certified bamboo wood. The dimensions are 76 x 45 cm x 49 cm (H x D x L). The Dining Chair no. 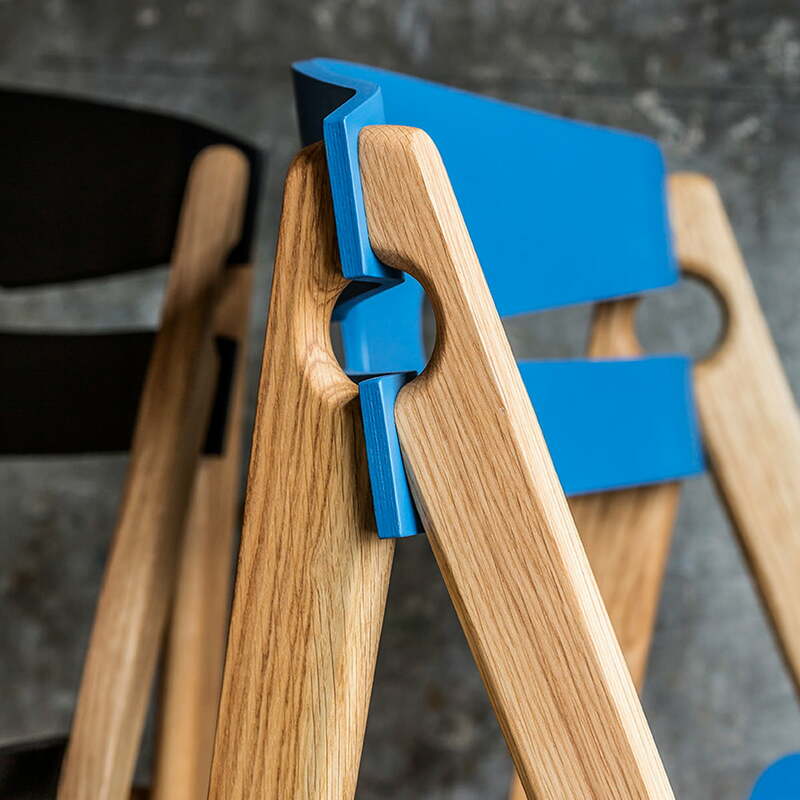 1 in blue, designed by Sebastian Jørgensen for the brand We do wood, is manufactured of FSC-certified bamboo. The backrest of the Dining Chair no. 1 has two gaps like keyholes, which ensure the three-dimensional appeal and the weightlessness. The Dining Chair no. 1 made of bamboo, developed by Sebastian Jørgensen for We do wood, is an exceptionally designed and weightless chair with three-dimensional appeal, offering unexpectedly high comfort. Combined with the Lilly’s Chair, also children get the adventages of elegant, timless and functional design. Connecting simplicity in design with comfort and respecting nature is the main goal of We do wood. The Dining Chair no. 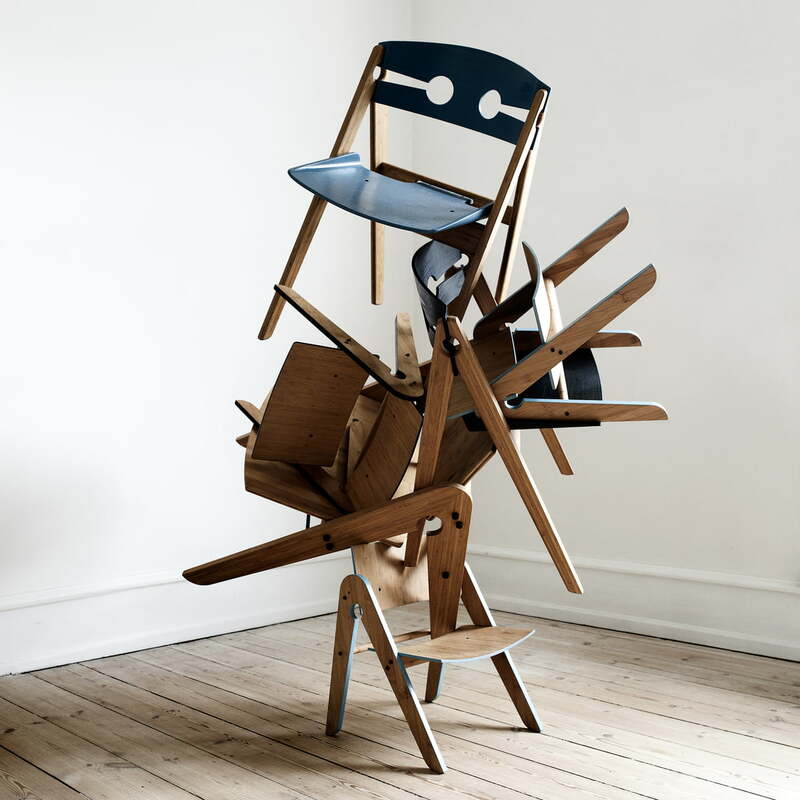 1 is a chair with attitude, designed by Sebastian Jørgensen, and is manufactured of FSC-certified bamboo. With the matching Dining Table no. 1, Scandinavian charme moves into your domestic living and dining room. 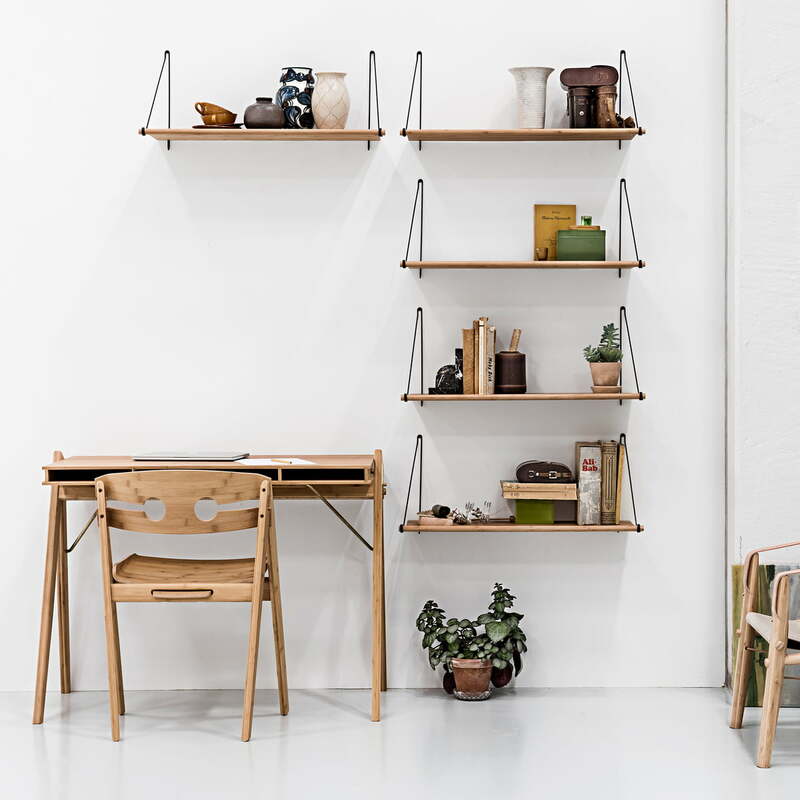 Four of the Loop Shelves, the Field Desk as well as the Dining Chair no. 1 from the brand We Do Wood together form a harmonious picture for the working area. The Button Stool, the Loop Shelf, the Field Desk, the Dining Chair no. 1 and the Correlations Bench together form a harmonious picture of products by We Do Wood.